My siblings and I begged my mom to make for this cake for us as kids. We loved it. The other day I had a hankerin’ for it so I called my mom for the recipe. 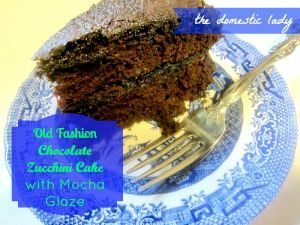 This is an old fashion cake and glaze. The glaze is just spread across the top of both layers and then runs down the side. So good! If you have a garden with lots of zucchini this is a great way to use it up. Veggies for dessert! Preheat oven to 350 degrees. Sift together dry ingredients. In a separate bowl combine eggs, vanilla, and oil. Add the egg mixture to dry mixture. 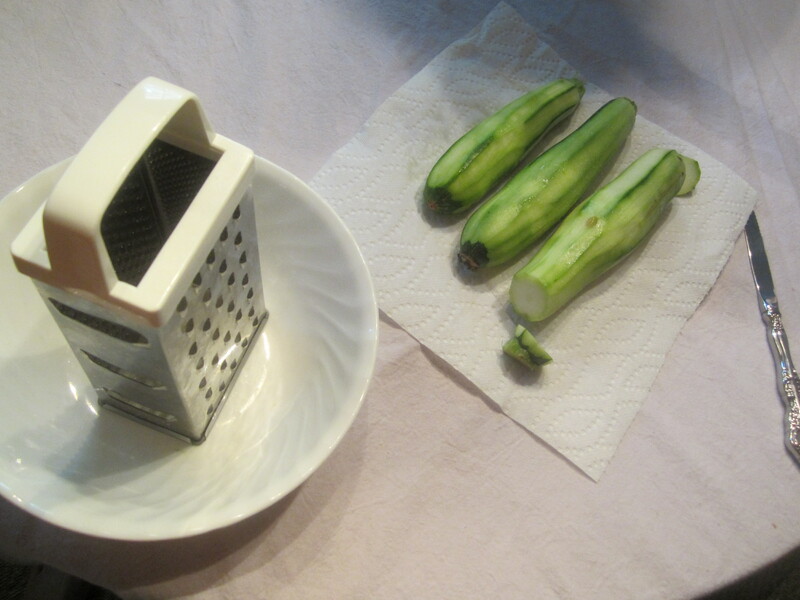 Stir in zucchini and mix thoroughly. Spread cake batter in two greased and floured 8 or 9 inch round cake pans. Bake for 17-18 minutes. Do not over bake. Sift dry ingredients together: add vanilla and enough cold coffee to make a thick frosting. Place one warm cake layer on a plate. Spread half the glaze on the top of the first layer of warm cake. Stack the second layer on to the first layer and repeat with the glaze. (The heat of the cake thins the frosting and allows to run down the side of the cake). Great topped with a little whipped cream. Enjoy!